INS Trikand being pushed to the dock by the tugs. The business end of INS Trikand. From left to right: 100mm gun A 190E, SA-N-/ Gadfly launcher for surface to air missiles, VLS launcher for Brahmos anti ship missiles; 12 barreled anti submarine mortar. Top of the pilothouse. 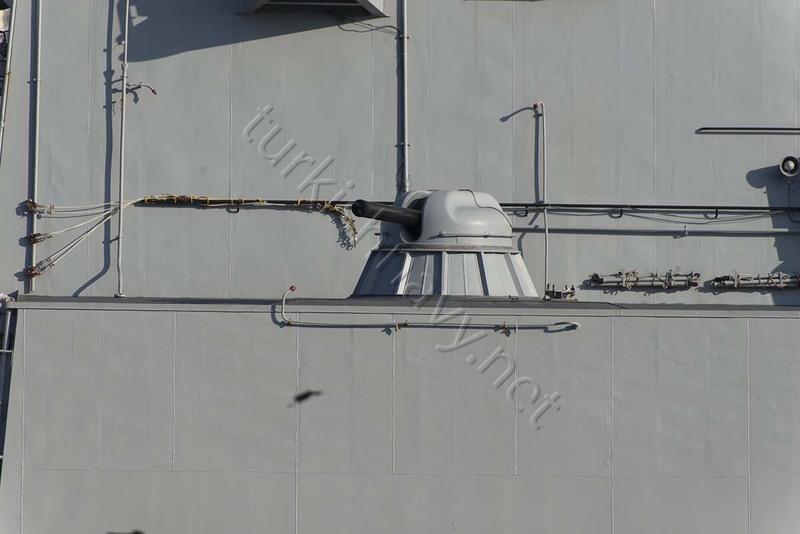 From left to right: Ratep 5P-10E Puma fire control radar for 100mm gun and Plank Shave (Garpun-B) fire control radar for anti ship missiles. One commercial navigation radar. 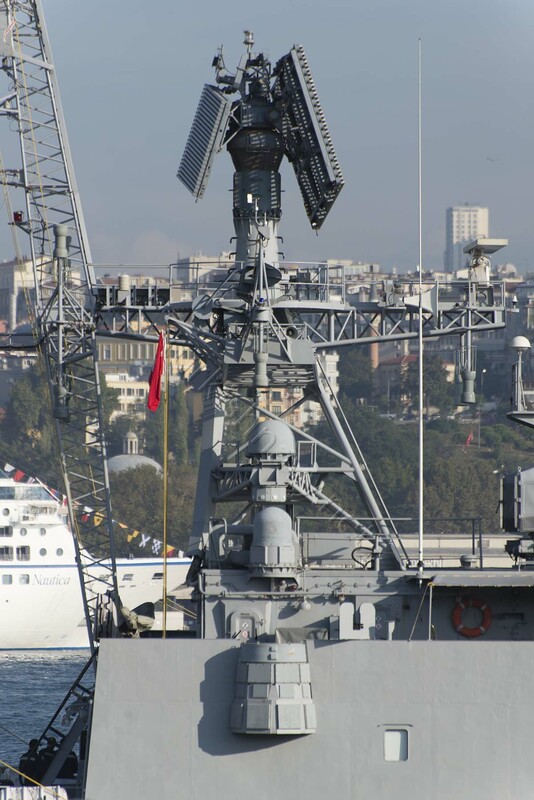 For self-protection the INS Trikand has two AK 630 multi barreled guns. The main mast of INS Trikand. 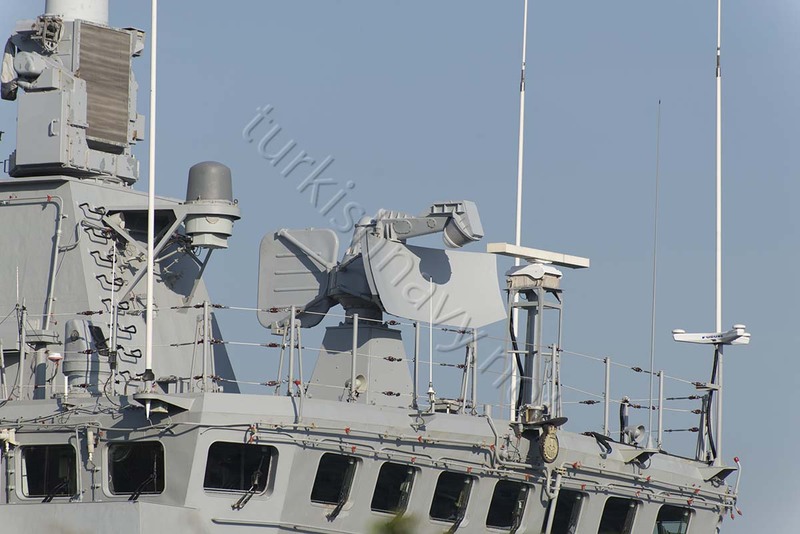 From top to down: Top Plate 3D air seach radar (Fregat-M2EM); KEvin Hugnes navigation radar; Nyada MR212/201 (Palm Frond) navigation radar; antennas for ASOR (TK-25E-5) electronic counter measures system. In the morning hours on 4 October 2015 Istanbul welcomed a very rare visitor: the Indian Navy vessel INS Trikand. 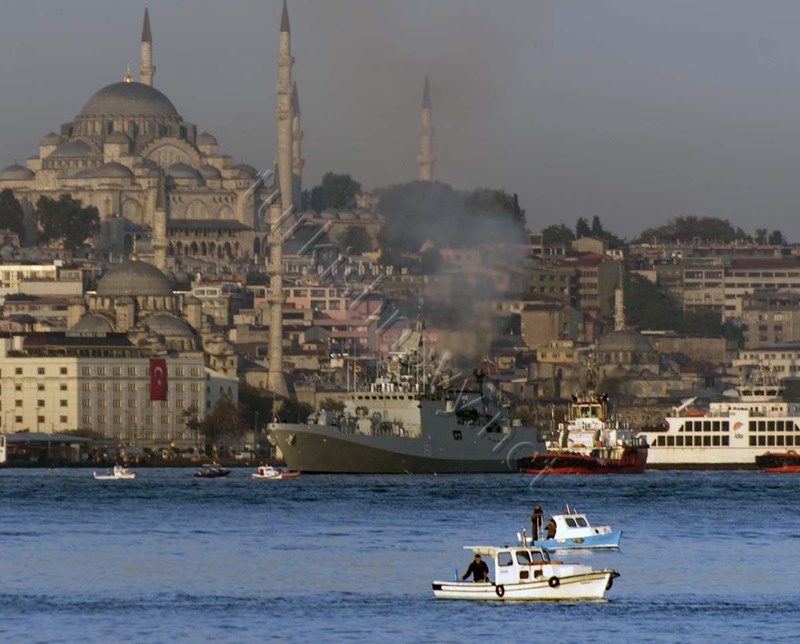 Despite being a large navy, Indian warships very seldom visit Istanbul. 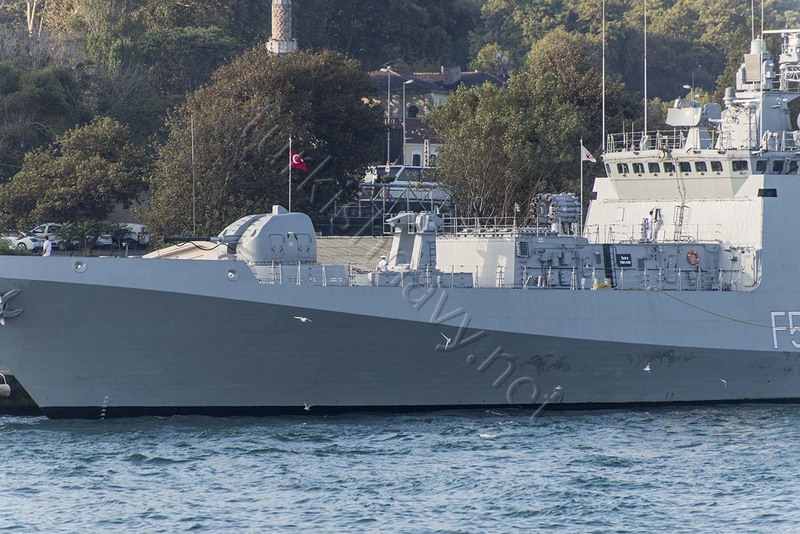 The Talwar (Project 1135.6) class frigate INS Trikand arrived in Istanbul for a 3 day port visit. 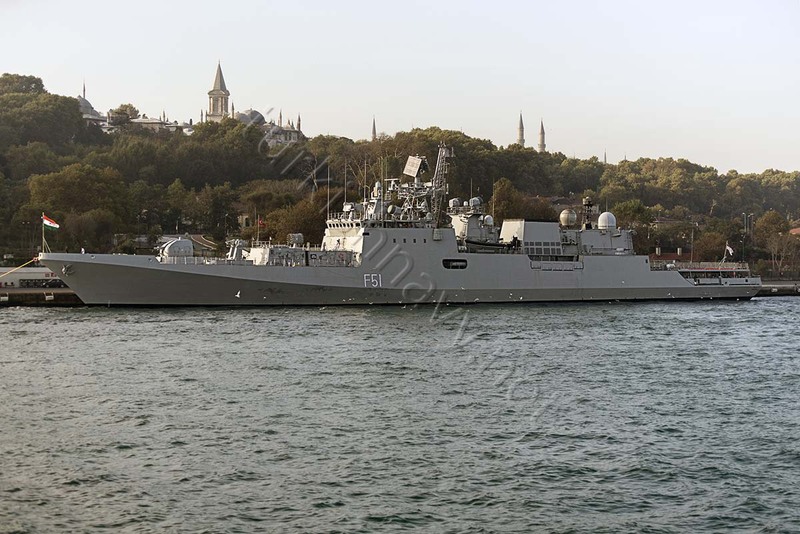 The youngest ship of this class, INS Trikand will engage extensively with the Turkish Navy according to the twitter account of the Indian DOD spokesman. Apart from professional interactions, a number of sports and social engagements are also planned. The interaction between two navies has increased in the last few years especially since Turkish Navy started to deploy warships for anti piracy operations in Indian Ocean.In April 2015 frigate TCG Gediz visited Mumbai. The other budding Naval Power.